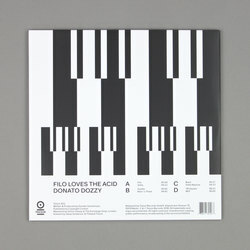 Donato Dozzy - Filo Loves The Acid. Vinyl LP. Bleep. 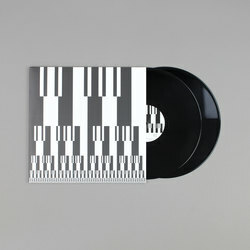 Donato Dozzy arrives on Tresor for the label's 303 release, the irresistibly erosive techno of Filo Loves The Acid. This is the sound of Dozzy really letting rip on the 303. 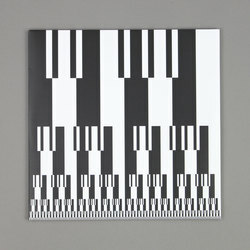 These tracks just brim with the intensity of a thousand and one acid tekno 12"s that have surfaced before it - there are properly rip-roaring tracks like 'Vetta Reprise' that sounds like Minimal Nation-era Rob Hood if he was cracking really high on a fistful of uppers. 'Filo' revisits the splashed out snares ‘n’ all of Dozzy's much loved 'K' album, before 'Duetto' sets us off full speed ahead into a sleek head rush wormhole of jackhammer drums and an acid bassline that jacks so hard that it sounds like his Roland TB-303 is about to blow a fuse or five. Filo Love The Acid is the sound of losing your mind in Tresor's mind-melting basement for an entire weekend (or however long the record is, we sort of got lost while listening through and had a mini office-wide rave when it was fired onto the stereo at full pelt) strobes and all. Donato Dozzy is hands down one of the true unsung heroes of techno, throughout his career he has quietly chipped away year after year knocking out stellar 12”s and LPs, but it's with this record that he really raises the standards of just how hypnotic acid can really be.